It's a fundamental of our political system that governors play a critical role in shaping policy at the state level—and even beyond. Governors can use their position as a bully pulpit to advance their agenda, they can use their budget proposals or empower commissions to shape legislation, and they have the power to kill legislation they don't like with their veto pens. And because Congress has so far refused to act to end federal marijuana prohibition, the role of state governors in marijuana policy is even more important. While they can't simply wave a magic wand to enact their desires, gubernatorial support or opposition can make or break a marijuana reform bill. With public opinion having shifted dramatically in favor of marijuana legalization—an October Gallup poll had support nationwide at 66 percent, including even a majority of Republicans—and several years worth of legalization to look at in pioneering states such as Colorado and Washington, more and more governors are getting on the legalization bandwagon. Last week, the National Organization for the Reform of Marijuana Laws (NORML) released its 2019 US Governors Scorecard. It gave each governor a letter grade from A to F based on a combination of legislative history, policy positions taken, and public comments on the issue. NORML was pretty happy with what it found. “There exists unprecedented political support among U.S. governors for marijuana policy reform,” the group noted, pointing to A grades going to nine governors, all of them Democrats. That's up dramatically from the two A grades handed out just last year. Similarly, seven governors, six of them Democrats, saw their grades improve over last year. Several newly elected Democratic governors, such as Ned Lamont of Connecticut, J.B. Pritzker of Illinois, and Tim Walz of Minnesota actively campaigned on a pledge to legalize marijuana, while re-elected New York Gov. Andrew Cuomo has also broken dramatically toward legalization. It's a winning issue for Democrats. NORML graded 46 governors, saying it had insufficient data to grade the other four. Of the 23 Republican governors only five (22 percent) received a passing grade of C or higher, while among the 23 Democratic governors all but one (96 percent) got at least a C. Of the nine governors getting an A, all were Democrats. Of the four governors getting an F, all were Republicans. Here are the governors graded the worst by NORML. The list contains the four governors graded F as well as the two governors graded D-. They are all Republicans. 3. Mississippi Gov. Phil Bryant: D-. While he allowed an extremely limited CBD bill to become law, that law provides no in-state supply for those products, and he remains vocally opposed to marijuana legalization: "We're not going to consider it in Mississippi as long as I'm governor," he said. At least he's term-limited out in 2020. 4. Nebraska Gov. Pete Ricketts: F. A firm foe of marijuana legalization, Ricketts has complained bitterly about neighboring Colorado's legal marijuana regime, saying it imposed a burden on western Nebraska law enforcement (which is presumably forced to sit on the side of highways coming out of Colorado and pull over people looking for pot). Ricketts also opposes medical marijuana absent any firm study by the Food and Drug Administration. He and his fellow Cornhuskers have apparently forgotten that the state was once a leader in progressive pot policy, having decriminalized it during that first wave in the 1970s. 5. Ohio Gov. Mike DeWine: F. DeWine just took office this month, but as state attorney general he declined to comment on whether the Justice Department should go after medical marijuana users and providers in the state. When running for governor, he opposed a statewide initiative that would have diverted many low-level drug users from prison and came out firmly “against the legalization of recreational marijuana,” even falsely claiming that its legalization in other states had led to increased use among youth. 6. South Dakota Gov. Kristi Noem: F. Noem hasn't been in office long enough to do any damage, but she thinks marijuana is “a gateway drug” and vowed that “As governor, I will oppose all attempts to legalize marijuana.” She has the distinction of governing over the only state in the country that makes it a crime to have used marijuana. Google is restoring drug treatment advertising but with vetting, the federal hemp bill is moving fast, fighting over coca results in a state of emergency in a Colombian province, and more. Alaska House Votes to Limit Access to Old Marijuana Convictions. The House voted Monday to approve House Bill 316, which would not expunge old pot convictions, but would restrict access to those records. Bill sponsor Rep. Harriet Drummond (D) said she filed the bill to ensure that Alaskans are not passed over for jobs or promotions for possessing a substance that is now legal. Convictions that would be hidden would be those for possession of less than an ounce of marijuana by people 21 and over. The bill now goes to the state Senate. Pennsylvania Health Secretary Approves Vaping Flowers and Buds. State Health Secretary Dr. Rachel Levine announced Monday she will approve the Medical Marijuana Advisory Board's recommendation to allow the sale of medical marijuana in in leaf or flower form. State law forbids patients from smoking it, but vaping would be okay. McConnell's Hemp Bill Gets Fast-Tracked. Sometimes it pays to be the Senate Majority leader. 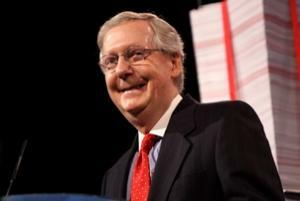 Sen. Mitch McConnell's (R-KY) hemp bill, Senate Bill 2667, is getting fast-tracked. Using a procedural move known as Rule 14, the bill introduced last week was placed on the Senate calendar on Monday. The move allows the bill to skip the committee process and head directly to the Senate floor. Companion legislation has been filed in the House. Google to Vet Drug Rehab Ads. Nearly a year after it suspended advertising for drug treatment centers because of numerous deceptive and misleading ads, Google announced Monday that it would resume accepting such ads. But they will first have to be vetted by an outside firm, LegitScript of Portland, Oregon. The new rules apply to in-person treatment facilities, crisis hotlines, and support groups. They will have to pass scrutiny on numerous criteria, including criminal background checks and license and insurance verification, as well as providing written policies and procedures demonstrating a commitment to best practices, effective recovery and continuous improvement." The Hague Bans Pot Smoking in the City Center. For the first time, a Dutch city has banned public pot smoking. The Hague has banned pot smoking around its city center, central railway station, and major shopping areas. The move came about because of "many complaints" from residents and visitors, a spokesman for The Hague Mayor Pauline Krikke said. Amsterdam and Rotterdam ban pot smoking near schools, but do not have general bans. Colombian Province in State of Emergency as Rebel Groups Fight Over Coca. William Vallamizar, governor of Norte de Santander province, has declared a state of emergency because fighting between two rebel groups over control of a coca-growing region. He said a thousand families had to flee the fighting, and 4,000 children were blocked from going to school. The dispute is between leftist guerrillas of the EPL (Popular Liberation Army) and ELN (Army of National Liberation), both of which hope to take over an area that had formerly been under control of the FARC. The FARC has transformed from a guerrilla army to a political party, but its demobilization has left power vacuums in the countryside. Australian Federal Government Rejects Green Party Call for Marijuana Legalization. The federal government isn't interested in the Green Party's call for marijuana legalization, the health minister said Tuesday, resorting to discredited myths as he did so. Health Minister Greg Hunt said the party should withdraw its suggestion because it risks the health of Australians. "Marijuana is a gateway drug. The risk of graduating to ice or to heroin from extended marijuana use is real and documented," he said. Two top federal security officials say scary things about marijuana policy, at least two states are moving to protect pot people from any federal crackdown, San Francisco becomes the latest city to embrace LEAD, and more. DHS head John Kelly went from marijuana "is not a factor" in drug war to vowing to deport marijuana users in less than 48 hours. AG Sessions Says Marijuana Plays Role in International Criminal Enterprises. Attorney General Jeff Sessions said Tuesday that marijuana is a significant part of international drug trafficking and that there is "a lot" of violence around "marijuana distribution networks" in this country. "We have quite a bit of marijuana being imported by the cartels from Mexico. This is definitely a cartel-sponsored event," he said. "So it is a financial money-maker for them," he said. "I returned from the border last week and they told me that quite a number of the people they arrest are hauling marijuana across the border." 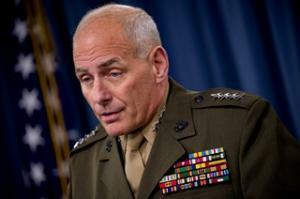 Homeland Security Chief Says Marijuana Possession is Grounds for Deportation. What a difference a couple of days makes! Over the weekend, Homeland Security Chief John Kelly said that "marijuana is not a factor" in the administration's war on drugs, but by Tuesday, he had changed his tune, denouncing marijuana as a "gateway drug" and warning that DHS would use pot charges to deport people. "ICE will continue to use marijuana possession, distribution and convictions as essential elements as they build their deportation removal apprehension packages for targeted operations against illegal aliens living in the United States," he said. California Bill to Protect Pot People from Feds Advances. A bill aimed at protecting marijuana users and the state's blossoming pot industry from any federal crackdown was approved by the Assembly Public Safety Committee on a 5-2 vote. The measure, Assembly Bill 1578, would prevent state and local police from helping federal law enforcement crack down on state-legal marijuana activity. Guam Governor Backs Away from Legalization Proposal, Citing Trump. Governor Eddie Baza Calvo has suspended his push to legalize marijuana on the American territory, citing a change of atmosphere in Washington. "US Attorney General Jeff Sessions' pronouncement that the federal government intends to crack down on jurisdictions where recreational marijuana is legal," a Calvo spokesman pointed out. Oregon Bill to Protect Pot People from Feds Signed into Law Governor Kate Brown (D) on Monday signed into law Senate Bill 863. The bill would protect Oregon marijuana users from any federal crackdown by prohibiting the state's pot retailers from sharing or keeping information about their customers' purchases or identities. Atlanta City Council Punts on Marijuana Decriminalization. The city council on Tuesday failed to pass a decriminalization ordinance, instead referring the measure to the Public Safety Committee for further review. The measure would have decriminalized the possession of up to an ounce, with a maximum fine of $75. Iowa Senate Approves Bill to Down-Schedule Marijuana. The state Senate voted Tuesday to approve a bill that would reschedule marijuana under state law from Schedule I to Schedule II and allow the manufacture and distribution of medical marijuana products. The bill now heads to the House. North Dakota Governor Signs Medical Marijuana Regulation Bill. Governor Doug Burgum (R) on Monday signed into law Senate Bill 2344, which imposes sweeping legislative modifications on the state's new voter-approved medical marijuana law. With the governor's signature on the bill, the state now expects to have its system up and running within 12 to 18 months. San Francisco Begins Law Enforcement Assisted Diversion (LEAD) Program. As of the beginning of April, the city is now operating a Law Enforcement Assisted Diversion (LEAD) program aimed at reducing the incarceration and criminalization of drug users and those with mental illnesses. LEAD is a pre-booking diversion program that refers low level offenders to treatment and community-based health and social services instead of prosecuting and jailing them. LEAD was pioneered in Seattle and is now in operation in a handful of cities across the country. A man who thinks marijuana users aren't "good people" is now the US attorney general, New York's Democratic governor cites the gateway theory as he opposes marijuana legalization, North Dakota lawmakers kill a welfare drug testing bill, and more. New York Governor Calls Marijuana "Gateway Drug," Rejects Legalization. Gov. Andrew Cuomo (D) said Wednesday that marijuana is "a gateway drug, and marijuana leads to other drugs and there's a lot of proof that that's true... There's two sides to the argument. But I, as of this date, I am unconvinced on recreational marijuana." Washington Bill Would Bar State From Helping Any Federal Crackdown. A bipartisan bill sponsored by Rep. David Sawyer (D-Lakewood) and three others would attempt to protect the state's legal marijuana industry by "prohibiting the use of public resources to assist the federal government in any activity that might impede or interfere with Washington state's regulation of marijuana and marijuana-related products." The measure is House Bill 1895, which is now before the House State Government, Elections, and Information Technology Committee. Kansas Medical Marijuana Bill Filed. State Sen. David Haley (D-Kansas City) has filed Senate Bill 155, which would allow patients with specified diseases or conditions to grow and possess medical marijuana, or have a caregiver grow it for them. The bill also envisions the creation of state regulated and taxed "compassion centers" or dispensaries. Jeff Sessions Confirmed As Attorney General, Drug Policy Reformers React. 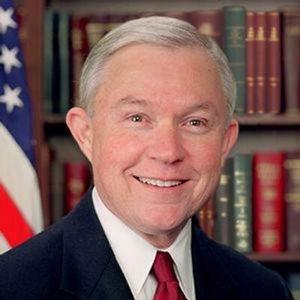 The Senate confirmed Alabama Republican Senator Jeff Sessions as Attorney General on a near party-line vote Wednesday night. The marijuana and drug reform communities -- among many others -- are nervous about how Sessions might deviate from the Obama administration's hands-off policy on marijuana in the states, as well as broader criminal justice issues. "Jeff Sessions and President Trump are stuck in the 1980s when it comes to drug policy, while most of the country knows by now that we need alternatives to the failed drug war," the DPA's Bill Piper said. "If the Administration tries to roll back marijuana reform or to undermine criminal justice reform they will find themselves even less popular than they are now." North Dakota Senate Kills Welfare Drug Testing Bill. The Senate killed Senate Bill 2279, which would have required mandatory "addiction screening" of people receiving food stamps, with those identified as being "at risk" of drug use being forced to undergo drug treatment. The measure died on a 20-26 vote after legislators pointed out that similar welfare drug testing programs have found only a tiny number of people. Peru Government Will Present Medical Marijuana Bill. The administration of President Pedro Kuczynski said it will present a bill allowing for the use of medical marijuana to the legislature, which is dominated by the opposition. The move comes in the wake of a public uproar after police raided a Lima house where a group of parents grew marijuana to make cannabis oil to treat their children's epilepsy and other diseases. New polls show marijuana legalization initiatives leading in California and Nevada, Michigan will soon see medical marijuana dispensaries, Missouri won't get to vote on medical marijuana this year, Attorney General Lynch rejects the gateway theory, and more. Latest California Poll Has Prop 64 Winning Handily. A new Public Policy Institute of California poll has the Prop 64 legalization initiative with 60% support and only 36% opposed. Support is at 65% in the Bay Area, 60% in San Diego and Orange County, 57% in Los Angeles, and even 55% in the conservative Inland Empire. This poll is in line with other recent polls, which all have the initiative winning in November. Nevada Poll Has Question 2 Leading By 14 Points. A new KTNV-TV 13 Action News/Rasmussen poll has the Question 2 legalization initiative with 53% support, with 39% opposed. This is an increase in support of two points over the same poll in July. 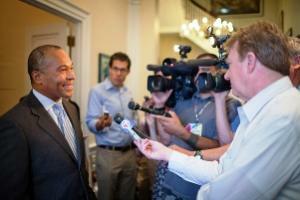 New Jersey Assemblyman Filed Legalization Bill. Conservative Republican Assemblyman Michael Carroll has introduced Assembly Bill 4193, which "Legalizes marijuana and provides for records expungement for certain past marijuana offenses; treats marijuana products similar to tobacco products, including use of civil penalties for providing marijuana to persons under 19 years of age." Arkansas Court Throws Out Challenge to Medical Marijuana Initiative. The state Supreme Court has rejected a bid to throw the Arkansas Medical Cannabis Act (Question 7) off the November ballot. Foes had challenged the initiative's ballot language, but the high court said they had not proven it was insufficient. Two court challenges remain, one against Question 7 and one against the Arkansas Medical Marijuana Amendment (Question 6), both of which have qualified for the ballot. Colorado Legislative Panel Approves PTSD as Medical Marijuana Condition. An interim committee of the Legislative Council has backed a proposal to make PTSD a qualifying medical marijuana condition. If the measure is approved by the Council as a whole, it would then be favorably introduced at the start of the next legislative session. Illinois Judge Orders State to Add Post-Operative Chronic Pain to List of Qualifying Conditions. A Cook County judge has ordered the director of the Department of Public Health to add the condition within the next 30 days. The judge has also set a hearing for November 3 "to ensure the Director's compliance with this order." Michigan Governor Signs Medical Marijuana Regulation Bill Package. Gov. Rick Snyder (R) Wednesday signed into law a package of bills that will clarify the state's medical marijuana law and explicitly allow for dispensaries to operate. The bills also set taxes on dispensaries, allow for the use of tinctures and lotions, and establish "seed to sale" tracking systems. Missouri Medical Marijuana Initiative Will Not Make November Ballot. A Cole County circuit court judge has ruled against overturning petition signatures ruled invalid by local officials. New Approach Missouri came out just shy of valid signatures after local election officials denied about 10,700 signatures, leaving their initiative about 2,000 signatures short of qualifying. Attorney General Loretta Lynch Rejects Notion Marijuana is Gateway Drug. In an address as part of a week-long emphasis on heroin and opioid misuse and abuse, Lynch forthrightly dismissed the gateway theory that marijuana is a stepping stone to more serious drug use. "When we talk about heroin addiction, we usually, as we have mentioned, are talking about individuals that started out with a prescription drug problem, and then because they need more and more, they turn to heroin," Lynch said. "It isn't so much that marijuana is the step right before using prescription drugs or opioids -- it is true that if you tend to experiment with a lot of things in life, you may be inclined to experiment with drugs, as well. But it's not like we're seeing that marijuana is a specific gateway." Vietnam Sentences Nine to Death for Heroin Trafficking. A court in northern Vietnam has sentenced nine people to death for trafficking nearly 1,400 pounds of heroin from Laos and Thailand over a four-year period. Another three people were sentenced to life in prison. NIH Head Tells Congress Marijuana is a Gateway Drug. Dr. Nora Volkow, the director from the National Institutes of Health warned House lawmakers Tuesday against legalizing marijuana use, saying it could act as a gateway drug. Volkow told the House Energy and Commerce Committee's Oversight and Investigations subpanel studies show that changes to brain chemistry after alcohol, tobacco, or marijuana use can prime users for harder drugs. Despite Volkow's claims, the gateway theory is widely discredited. Treasury Secretary Defends Marijuana Banking Guidelines.Treasury Secretary Jack Lew on Tuesday defended the Obama administration's guidelines to banks conducting transactions with legal marijuana sellers as congressional Republicans questioned whether the guidance amounts to tacit federal approval of a drug illegal in most states. Lew's comments came at hearing of the House Appropriations Committee subcommittee on financial services, where Chairman Rep. Hal Rogers (R-KY) accused the administration of providing a "rubber stamp" to drug dealers. Lew disagreed: "Without any guidance, there would be a proliferation of cash-only businesses, and that would make it impossible to see when there are actions going on that violate both federal and state law and that... would be a real concern," Lew said. "We thought that the clarity, bringing it into daylight, was a better solution." Congress should write a law to establish a policy, he added. New York City Conference Today and Tomorrow Marks 70th Anniversary of LaGuardia Commission Report. A major one-and-a-half day conference at the New York Academy of Medicine (NYAM) to discuss marijuana and broader drug policy reform gets underway today. The conference commemorates the 70th anniversary of one of the nation's first systematic studies to address many of the myths about marijuana, The La Guardia Committee Report: The Marihuana Problem in the City of New York, published in 1944. The NYAM published report concluded that "the sociological, psychological, and medical ills commonly attributed to marihuana have been found to be exaggerated," but marijuana prohibition has stood largely intact for seventy years -- until now. Click on the link for more details. Vermont Senate Approves Medical Marijuana Dispensary Improvement Bill. The Vermont Senate gave final approval Wednesday to a bill that will expand access to medical marijuana for qualified patients. It will now be sent to Gov. Peter Shumlin, who has expressed support for the measure. Senate Bill 247, sponsored by Sen. Jeanette White (D-Windham), will eliminate the cap on the number of patients who are allowed to access medical marijuana dispensaries. Currently, only 1,000 total patients are able to access dispensaries. The measure will also increase possession limits for dispensaries, allow them to deliver medical marijuana to patients, and permit naturopaths to certify patients for the program. The bill was amended by the House to initiate two studies: one to explore the possibility of adding post-traumatic stress disorder (PTSD) as a qualifying condition for the state's medical marijuana program, and one to evaluate the potential impact of making marijuana legal for adults and regulating it similarly to alcohol. Louisiana Medical Marijuana Bill Excites Law Enforcement Opposition. Law enforcement agencies from across the state spoke out against a proposed bill to legalize medical marijuana at the Louisiana Sheriffs' Association today. "As the current bill stands in Louisiana, this still does not correct the fact that it is illegal in the United States of America to possess or use marijuana," president of the Louisiana Sheriffs' Association Sheriff Tony Mancuso said. The bill, Senate Bill 541, proposed by Louisiana State Senator Fred Mills (D-St. Martin Parish), will be heard by the Committee on Health and Welfare today. 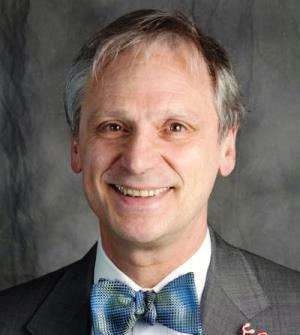 Virginia Congressman Introduces Federal Medical Marijuana Bill. Rep. Morgan Griffith (R-VA) has filed House Resolution 4498, the Legitimate Use of Medicinal Marijuana Act. This bill would prohibit the federal government from preventing the prescription, possession, transportation, and distribution of marijuana for medical purposes in compliance with applicable state law. The bill would also reclassify marijuana from a Schedule I drug to a Schedule II drug. Georgia Governor Signs Bill to Drug Test Some Welfare Recipients. Georgia Gov. Nathan Deal (R) signed legislation on Tuesday requiring some applicants for food stamps and welfare benefits to undergo a drug test. Under the measure, House Bill 772, testing could be required if authorities have a "reasonable suspicion" of drug use. A person failing the test would temporarily lose benefits, although their children could receive assistance through another adult. Debbie Seagraves, executive director of the American Civil Liberties Union of Georgia, called the legislation "shameful" and said it violated the constitutional protection against unreasonable searches. California "Per Se" Drugged Driving Bill Dies in Committee. A bill that would have made the presence of tiny amounts of marijuana metabolites per se evidence of impaired driving was killed in the Assembly Public Safety Committee Tuesday. Assembly Bill 2500, sponsored by Assemblyman Jim Frazier (D-Antioch), was opposed by California NORML, whose head, Dale Gieringer, called it "a solution in search of a problem." Bogus Highway Drug Search Yields $100,000 Settlement for Star Trek Fan. A Star Trek fan returning home from a convention on I-70 Illinois when he was stopped and searched by a Collinsville, Illinois, police officer has settled a lawsuit against the department for $100,000. Terrance Huff, who is also a documentary filmmaker, sued over the stop. After the 7th US Circuit Court of Appeals refused to throw out the lawsuit, Collinsville settled. Click on the link for the whole juicy, sleazy story. Colorado Bills That Would Have Removed Kids from Parents Suspected of Drug Use Die. The state Senate approved, but then rejected two bills that attempted to expand the definition of child abuse to include even attempts at drug use and/or possession. The bills were Senate Bill 177 and Senate Bill 178. They were opposed by a coalition of groups including the Drug Policy Alliance, the ACLU of Colorado, and National Advocates for Pregnant Women. FDA Defends Approval of Zohydro. FDA Commissioner Margaret A. Hamburg, MD, defended the agency's approval of the powerful opioid Zohydro ER (hydrocodone bitartrate) extended-release capsules, explaining that its highest dose is no more potent than the highest strengths of the opioid OxyContin ER (oxycodone) extended-release and extended-release morphine, in an FDA blog posted yesterday. Dr. Hamburg explained that with the drug approval, it is unlikely that opioid prescribing will change significantly or use by patients with pain. Zohydro ER is approved for the management of pain severe enough to require daily, around-the-clock, long-term opioid treatment and for which alternative treatment options are inadequate. "Addressing the opioid crisis by focusing on a single opioid drug will simply not be effective," she stated. "Instead we must focus our collective attention and energy on the key drivers of the problem, which include excessive prescribing, illegal activity by a small number of providers, improper disposal of unused medications, and insufficient prescriber and patient education." California Fair Sentencing Act to Eliminate the Disparities Between Crack and Powder Cocaine Sentencing Passes its First Committee. The California Fair Sentencing Act (Senate Bill 1010), authored by Senator Holly Mitchell (D-Los Angeles), passed its first hurdle in the Senate Committee on Public Safety by a 4-2 vote. The bill will correct the disparity in sentencing, probation and asset forfeiture guidelines for possession of crack cocaine for sale versus the same crime involving powder cocaine that has resulted in a pattern of racial discrimination in sentencing and incarceration in California. SB 1010 now moves on to the Appropriations Committee. Bill to Up Meth Trafficking Penalties Passes New York Senate. The state Senate Monday passed legislation, cosponsored by Senator David J. Valesky (D-Oneida), that would increase the penalties for manufacturing methamphetamine. The measure, Senate Bill 3639, increases sentences by moving various meth manufacture and distribution offenses up one notch on the state's felony crime sentencing scheme. OAS Drug Commission Meeting Underway. The Inter-American Drug Abuse Control Commission (CICAD) of the Organization of American States (OAS) yesterday inaugurated its 55th Regular Session where it discussed, among other issues, policies related to micro-trafficking and the agenda of the Special General Assembly the hemispheric institution will hold in September in Guatemala, which will be dedicated exclusively to the Global Drug Problem in the Americas. The agenda of the CICAD meeting also includes discussions on alternatives to incarceration for drug dependent offenders and others in conflict with the law for reasons related to drugs, and the challenges and impacts surrounding the regulation of cannabis, with special attention to initiatives of this type in some States of the United States, as well as Uruguay. The meeting takes place between today and Thursday, May 1 at OAS headquarters in Washington, DC, and is being chaired by Colombia. Click on the link for more details. Singapore Bans New Synthetic Drugs Effective Tomorrow. Synthetic drugs that mimic the effects of controlled drugs like methamphetamine and heroin, will become illegal and attract the same penalties beginning May 1. While it is now legal to possess these drugs, the Central Narcotics Bureau (CNB) has the power to seize them to restrict their circulation. There are currently 11 types of compounds under the Fifth Schedule of the Misuse of Drugs Act, with over a hundred specific examples listed. Beginning in May, drugs listed under the Fifth Schedule will then be re-classified as Class A controlled drugs. This means that those convicted of abusing them may be jailed up to 10 years and fined up to S$20,000. Those found guilty of trafficking such substances will face a minimum of five years' jail and five strokes of the cane. US Spent $7.5 Billion to Stop Afghan Opium, Got Squat, New Report Says. A new report from Washington's Afghanistan war watchdog has found that the US spent $7.5 billion in efforts to reduce Afghan opium cultivation, but that opium cultivation there is at an all-time high. The report is the latest quarterly report from the Special Inspector General for Afghanistan Reconstuction. Opium-poppy cultivation takes up 209,000 hectares (516,230 acres) of land in Afghanistan, a 36% increase since 2012. Afghanistan is by far the world's largest opium producer. Alaska Poll Has Legalization Initiative in Narrow Victory. A new Alaska House Majority Caucus poll suggests that the marijuana legalization initiative there should win at the polls in August, but it will be close. The poll had support for the initiative at 52%, with 44% opposed and only 4% undecided. Click on the poll link for cross-tabs and top lines. New Jersey Governor Christie Rejects Legalization, Raises "Gateway" Specter. During Gov. Chris Christie's (R) "Ask the Governor" radio program Thursday, Christie rejected legalization in response to a listener's question. "Mike, I love you baby, but it ain't happening, not while I'm governor," Christie said to the caller. "I don't believe that legalizing an illegal drug for purposes of governmental profit is something that we should be doing. I believe that this is a gateway drug into other more serious drugs, I think it sends a wrong message to our kids and I don't think it makes anybody a better or more productive person," he said. Vermont Lawmakers Want Marijuana Tax Revenue Study. Vermont lawmakers were expected to offer an amendment to a tax bill passed by the House Thursday to include a study on the revenue effects of legalizing marijuana. The proposed amendment would require the Joint Fiscal Office to report back to the House Ways and Means Committee and the Senate Finance Committee on specific revenue projections. The amendment calls on the Joint Fiscal Office to use the Colorado tax model for purposes of the report. Study Finds Marijuana Medical Access Not Linked to Crime Increases. A new study from University of Texas-Dallas criminologist Robert Morris finds no link between violent crime and the legalization of medical marijuana. "We're cautious about saying, 'Medical marijuana laws definitely reduce homicide.' That's not what we're saying," said Morris. "The main finding is that we found no increase in crime rates resulting from medical marijuana legalization. In fact, we found some evidence of decreasing rates of some types of violent crime, namely homicide and assault." Colorado Health Department Wants to Restrict Caregiver, Patient Grows. The state Department of Public Health wants to limit the number of patients caregivers can serve and put a cap on the number of plants patients or caregivers can grow. The agency says it will ask legislators to craft new laws, but is still moving forward with its proposed rule change. Some patient activists are viewing this as a power grab by state regulators. Maryland Senate Passes Medical Marijuana Bill. The state Senate approved a full-blown medical marijuana bill Thursday. Senate Bill 923 now goes to the House, where a similar bill has already been passed. Mississippi House Approves CBD Medical Marijuana Bill. The House voted 112-6 Thursday to approve a measure that would allow the limited use of CBD cannabis oil as a medical treatment. House Bill 1231 is not quite done in the House yet, though. It was held over on a motion that could allow for more debate. Florida Senate Committee Approves CBD Medical Marijuana Bill. A bill that would allow doctors to prescribe "non-euphoric" marijuana strains for seizure or cancer patienta passed a Senate committee Thursday. Senate Bill 1030 passed out of the Criminal Justice Committee and is now headed for the Appropriations Committee. A companion bill is also moving in the House. Ag Secretary Says US Seeking to Buy Ukraine Hemp Seed. US Secretary of Agriculture Tom Vilsack said Thursday that the US is looking to buy hemp seed from Ukraine in a bid to bolster the East European country's economy. "We are now involved in trying to figure out ways in which we might be able to use the industrial hemp seeds that are created in the Ukraine in the US," Vilsack told reporters. Ukraine is one of the world's largest hemp seed producers, and Vilsack said its hemp seed doesn't contain any THC, "so it probably does not run afoul of any of our drug laws." Maine Governor's Anti-Drug Bill Gets Some Balance, But ACLU Still Opposes It. Maine Gov. Paul LePage's (R) law enforcement-heavy bill to deal with drug problems in the state has been amended to cut the number of new drug agents, prosecutors, and judges and increase funding or drug treatment programs. The changes to Legislative Document 1811 came in the House Criminal Justice and Public Safety Committee and could generate enough Democratic support to pass them, but the ACLU of Maine still says the measure should be defeated. Massachusetts Governor Declares Public Health Emergency on Opiates, Calls for All First Responders to Have Overdose Reversal Drug. Gov. Deval Patrick declared a public health emergency Thursday to combat the growing abuse of opiates, directing that all the state's police, firefighters, and other emergency personnel be equipped with a drug that can quickly reverse heroin overdoses. Using his emergency powers, Patrick told the Department of Public Health to make Narcan available immediately to all first responders, as well as more accessible to families and friends of drug abusers. Narcan, the brand name for naloxone, halts overdoses almost instantly. Unfortunately, however, the state will also prohibit the sale of Zohydro, an opioid pain reliever approved last year by the FDA. "Women, Drug Policy, and Incarceration in the Americas" Events in DC, NYC Next Week. The Harm Reduction Coalition, the International Drug Policy Consortium, the Washington Office on Latin America, the Permanent Mission of Uruguay to the UN, and the Inter-American Commission of Women will be discussing women, drug policy, and imprisonment at meetings Monday in Washington, DC, and Thursday at the UN in New York City. Click on the links for details and/or to RSVP. Canada's Alberta Arbitration Board Rejects Random Drug Testing. The Alberta Arbitration Board sided with union workers against Suncor Energy after the union filed a grievance over the company's random drug testing policies. The board ruled that the company failed to demonstrate "a significant problem or legitimate safety risk" to justify random alcohol testing and that its use of urinalysis to do drug testing "failed to identify current impairment." While the tests did find employees who had recently used drugs, "this did not meet the threshold of a legitimate business interest which would justify the significant intrusion into employees' privacy." Clashes as Bolivians Protest New Anti-Drug Base in Coca-Growing Region. Coca growers blocked roads and hurled stones at police, who responded with volleys of tear gas, as protestors agitated against a new anti-drug military base being constructed near the Chapare, the country's main coca-growing region. Local leaders said people feared an increased law enforcement presence would lead to violence and abuses. The European Union is financing the base at a cost of $1.3 million. 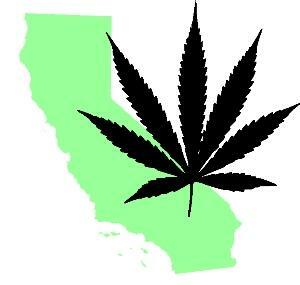 California Cannabis Hemp Initiative Dead for 2014. The number of active marijuana legalization initiatives in California has dropped to one after the California Cannabis Hemp Initiative failed to qualify for the ballot by its signature-gathering deadline. That leaves only the Marijuana Control, Legalization & Revenue Act, which, barring a miracle, isn't going to make the ballot, either. It needs 504,000 valid voter signatures by April 18, but only has 10,000. The big money is waiting for 2016 in California. FBI Refuses to Do Washington State Marijuana Industry Background Checks. The FBI is refusing to do criminal history background checks on people applying for legal marijuana licenses in Washington state, even though it has done such checks in Colorado. The agency has balked for the past year at requests from state officials, and refused to tell the Associated Press why. The state has issued three licenses so far; for those, they relied on background checks by the Washington State Patrol, which would catch in-state criminal convictions, but might miss out-of-state ones. Alaska Agencies Claim Legalization Will Cost Millions. In a new report, Alaska state agencies said that if the marijuana legalization initiative passes there, it will cost the state between $3.7 million and $7 million to implement and enforce the new law. Included in that figure are law enforcement requests for "at least three additional Alaska State Trooper positions to target the illegal diversion and exportation of marijuana lawfully cultivated in Alaska" and nearly $1.5 million for a media campaign to warn of stoned driving and training for troopers to recognize when a driver is high. The report doesn't address increased tax revenues from legalization. Vermont Cops Accuse Governor of Being Soft on Pot. The Vermont Association of Chiefs of Police, Vermont Sheriffs Association and the Vermont Police Association said in a press release Friday that they are united against efforts for marijuana legalization and that, while they have previously expressed concern about Gov. Peter Shumlin's (D) "tolerance of marijuana," their concerns had been ignored. They also called marijuana "a gateway drug." Washington Legislature Approves Sale of Hash and Hash Oil. The state legislature has approved a bill that would legalize the sale of hashish and hash oil at state-licensed marijuana retail outlets.House Bill 2304 now goes to the desk of Gov. Jay Inslee (D). HHS Gives Go-Ahead for MAPS PTSD Research Study. The federal Department of Health and Human Services granted permission Thursday for the Multidisciplinary Association for Psychedelic Studies (MAPS) to purchase research-grade marijuana from the National Institute on Drug Abuse (NIDA) for its planned study of marijuana for symptoms of PTSD. MAPS notes that this is the first time in the 22 years it has been trying to start marijuana drug research that it has actually won permission to purchase marijuana from NIDA. It's not quite a done deal yet, though; the DEA still as to approve. MAPS said it was "optimistic" DEA would do so. Florida Poll Shows Strong Support for Initiative. A University of North Florida poll released Monday has the state's medical marijuana amendment initiative well-positioned to win in November. The initiative has already qualified for the ballot. The poll had 74% of registered voters planning to vote for it. Because it is a constitutional amendment, it will need 60% approval to pass. Iowa Poll Has Support for Medical Marijuana at 81%. In a new Quinnipiac Poll, 81% of Iowa voters said they would support "allowing adults in Iowa to legally use marijuana for medical purposes if their doctor prescribes it." Even among Republicans, 68% agreed. That's in sharp contrast to a recent Iowa Poll that had only 59% supporting "legalizing marijuana for medicinal purposes." Michigan Chamber of Commerce Wants No Jobless Benefits for Fired Medical Marijuana Users. Michigan's leading business group is urging the state appeals court to rule out jobless benefits for people who are fired for using medical marijuana. The move comes as the court weighs the cases of people who sought benefits after being fired for using medical marijuana. Lower court judges have ruled in favor of the workers, who argued that they shouldn't be denied benefits after losing their jobs for using marijuana legally under state law. Arkansas Medical Marijuana Initiative Has 15% of Necessary Signatures. A signature-gathering campaign to put medical marijuana on the November ballot has collected about 15% of the signatures needed to qualify, Arkansans for Compassionate Care said on Thursday. The initiative is one of two gathering signatures this year. It has until July 7 to hand in 62,000 qualified signatures, and has about 10,000 so far. House Passes Bill to Force President to Enforce Federal Drug Laws. The Republican-controlled US House last week passed the Enforce the Law Act (House Resolution 4138), which would allow Congress to sue the president for failing to execute federal laws. While the bill is a broad attack on the Obama administration, one key supporter, Rep. Bob Goodlatte (R-VA), singled out the "selective non-enforcement" of part of the Controlled Substance Act in medical marijuana and legal marijuana states as a major concern. Democratic Senate Majority Leader Harry Reid (D-NV) said the bill was "dead on arrival" in the Senate. Nevada County Settles Up in Interstate-80 Cash Seizure Cases. Humboldt County, Nevada, where sheriff's deputies developed a habit of stopping travelers on I-80 and seizing their cash through threats of arrest or impoundment even though no drugs were found, has settled a lawsuit over the practice. Two men from whom thousands of dollars were taken sued and have won their money back and attorneys' fees. The county District Attorney's Office also said Friday it had launched an internal review of the county's "forfeiture program," but that it had seen no evidence of illegal stops or other wrongdoing on the part of Sheriff Ed Kilgore or his deputies. The lawsuits claimed the cash seizures were part of a pattern of stopping drivers for speeding as a pretext for drug busts in violation of the Constitution. Illinois Bill to Ban Kratom Filed. Rep. Dennis Reboletti (R-Elmhurst) has filed a bill to outlaw kratom, a Southeast Asian herb with psychoactive properties. 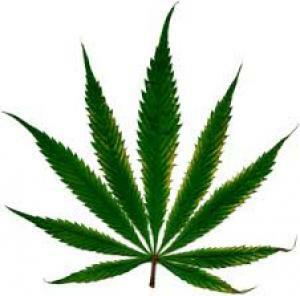 The plant is not banned federally, although the DEA has it on its list of "drugs of concern." Indiana is the only state so far to have criminalized it, designating its active ingredients as controlled substances. The Illinois bill is House Bill 5526. Some Federal Prosecutors Oppose Eliminating Mandatory Minimums. Attorney General Holder's move to eliminate mandatory minimum sentences for most drug offenders is running into flak from some prosecutors, The Washington Post reported Thursday. They complained that "tough sentencing policies provide a critical tool to dismantle drug networks by getting cooperation from lower-level defendants and building cases that move up the criminal chain of command." The prosecutors spoke out at a hearing of the US Sentencing Commission where Holder endorsed changing federal sentencing guidelines to reduce drug sentences in most cases. NGOs to Address Inter-American Human Rights Commission on Drug Policy and Human Rights. For the first time, the Inter-American Human Rights Commission has granted an audience to hemispheric civil society groups to address the impact of the war on drugs on human rights in the Americas. The audience will take place in Washington, DC, on March 25. Click on the link to see the impressive list of organizations that will participate. 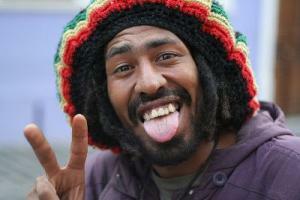 Jamaican Rastas Want Legal Marijuana Monopoly. 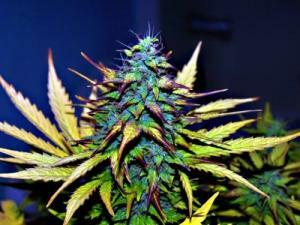 The newly formed Westmoreland Hemp and Ganja Farmers Association said licenses to grow and sell marijuana upon legalization should be limited to Rastafarians and other poor people, who have been victimized for decades for cultivating the herb. "We will not stand by and watch anybody outside of Rastafari and grassroots people take over this product. And we make no apology," association President Ras Iyah V declared during his address at the launch of the organisation at the MXIII Lawn in Negril on Sunday night. "We are saying this loud and clear to the Government, we are saying it to society, and we are saying it to the international community. Otherwise, we will take to the streets and turn Jamaica upside down -- and we make no apology. Because we not going take baton lick and brutality and all of a sudden now when the legalization aspect come, a some rich people come tek it ova -- people who used to scoff and scorn at the very mention of the herb name ganja," he added. "The WHGFA's objectives are to make sure that those who have paid the price -- who have been going to jail, going to prison, getting the baton licks, who have been planting the herb and it get cut down by police and soldiers, and yet have been persistent with this product -- that the rights of these individuals are protected." Mexico Moves to Rein In Anti-Cartel Vigilantes. Leery of having created a Frankenstein monster, Mexican authorities moved last week to put anti-cartel vigilante groups on notice that their illegal tactics will no longer be tolerated. Locals who saw the vigilantes as saviors from cartel extortion and threats now complain of similar behavior from the vigilantes, and the government says it now no longer needs them. Several vigilante leaders have been arrested on murder and other charges.